When the all-new Ford Explorer sport utility vehicle goes in to production later this year, it will offer an advanced terrain management system that takes the mystery out of four-wheel drive. They system will optimizing powertrain behavior for specific situations and road conditions and make it easy for the driver to choose the correct setting for the terrain. 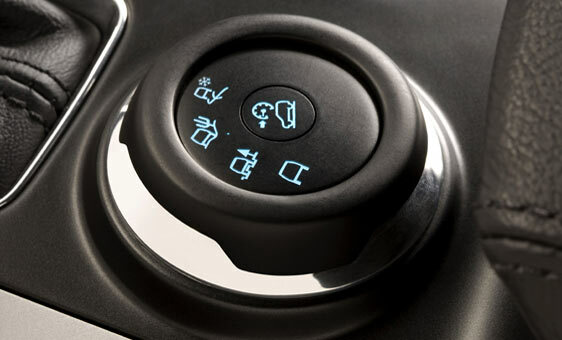 Ford Explorer with intelligent 4WD and terrain management eliminates guesswork, using simple icons to help drivers choose the correct setting at the simple turn of a dial for the climate or surface situation they may be driving. The icons depict the various settings to best suit driving conditions. Todd Hoevener is the vehicle dynamics manager for the new Explorer. In this short video, he gives an overview of the terrain management system. Employment of intelligent 4WD with Ford terrain management allowed Explorer engineers to deliver the “any road, anytime” capabilities that SUV buyers expect, while eliminating weight. Less driveline mass will help the new Explorer with V-6 power deliver an estimated 25 percent better fuel economy than the 2010 model. Intelligent 4WD with terrain management works by optimizing Explorer powertrain and braking systems to best suit a variety of situations, allowing vehicle behavior characteristics to provide appropriate traction and driver control. Ford anticipates that the system will really be a stress-reducer and confidence-builder, especially when driving in adverse conditions.